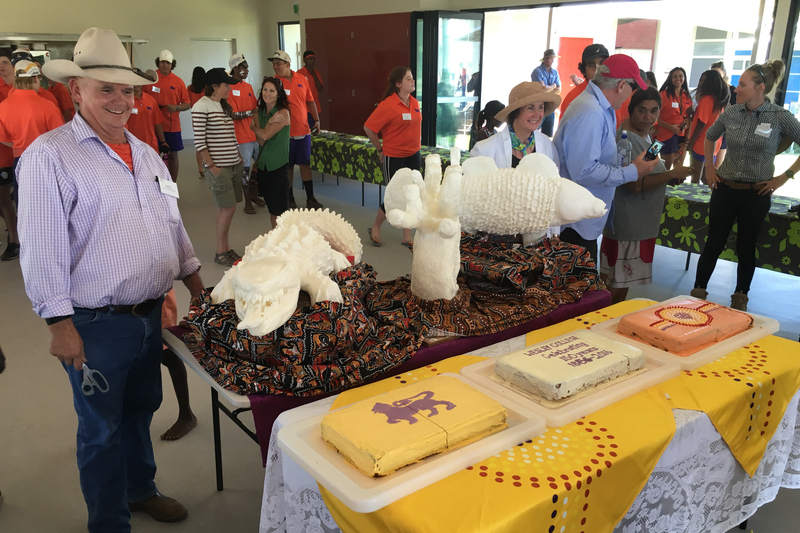 Design Director Lester Mulder was privileged to attend the recent Wesley Yiramalay sesquicentennial celebration on 17 June at the Yiramalay/Wesley Studio School. 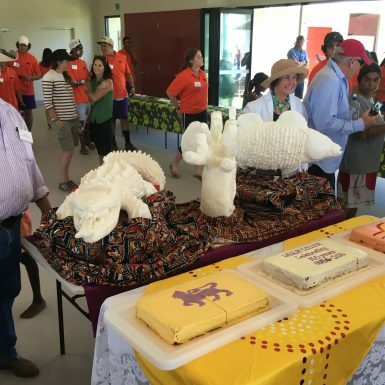 The event celebrated 150 years since the opening of Wesley College Melbourne, as well as the official opening of the new kitchen/dining community facility. 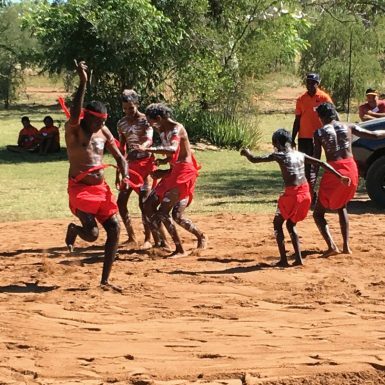 After arriving in Broome the day before, attending the celebration involved a four hour cattle-dodging drive east to the site, fours hours’ worth of celebrations, and a four hour return drive. 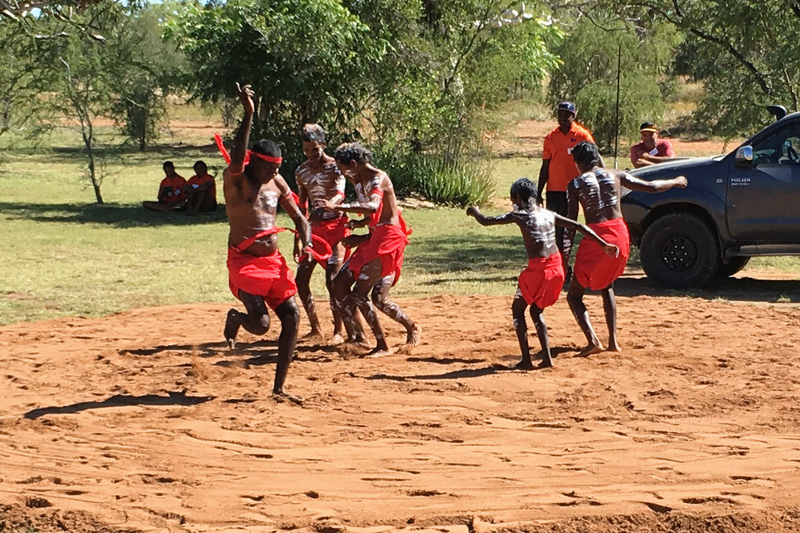 The celebrations featured a traditional welcoming by the Bunaba people, traditional smoking of the building, and a lavish feast. 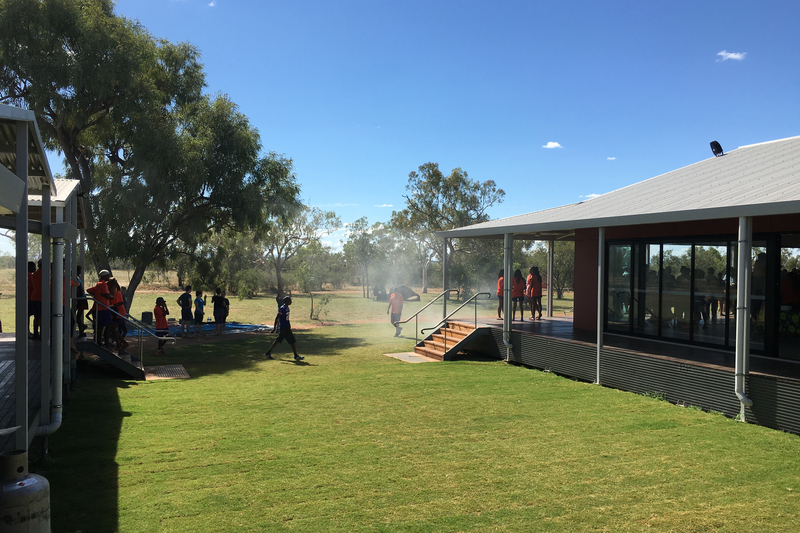 The building has been very well received by the school and it is set to serve them well into the future in its harsh, remote environment. It features a commercial kitchen, substantial bi-fold doors that completely open three sides of the building, and Equitone Natural finish fibre cement cladding – a zero-maintenance through-colour product.Sympathetic with existing structures at the school, the building is respectful of the site. 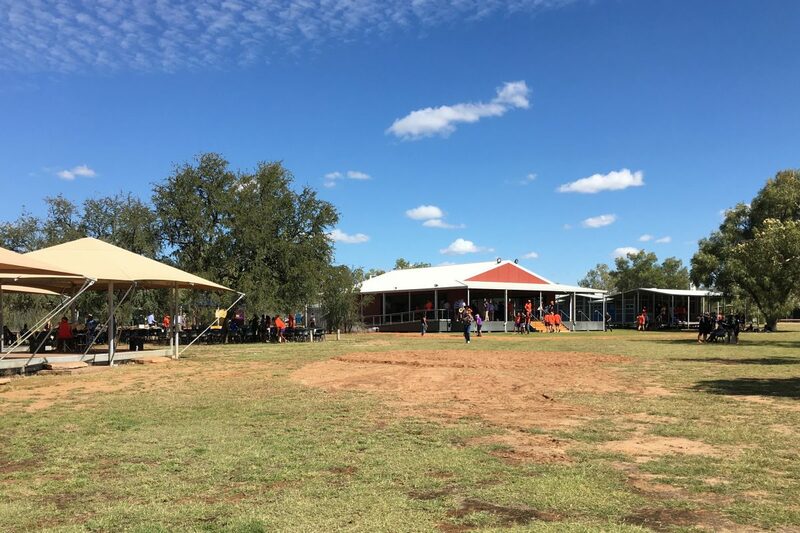 The build workmanship is of a high standard, and it is a credit to remote building specialists Full Boar Constructions. Mulder Kampman are proud to have been involved with this project and are grateful to have been provided the opportunity to contribute to this truly unique educational environment. 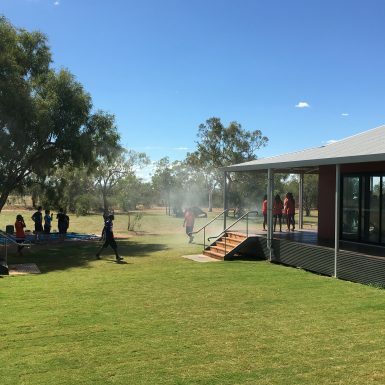 “This new facility is a wonderful addition to the infrastructure at Yiramalay and provides a commercial-style kitchen and a spacious and flexible dining space” Dr Helen Drennen, principal Wesley College Melbourne. 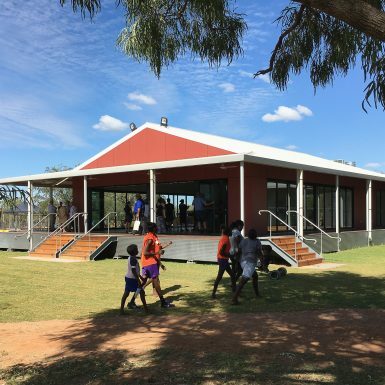 “The Yiramalay/Wesley Studio School is unique as it brings together two cultures, Aboriginal and non-Aboriginal, into one community with many cultures and helps each learn from the other. 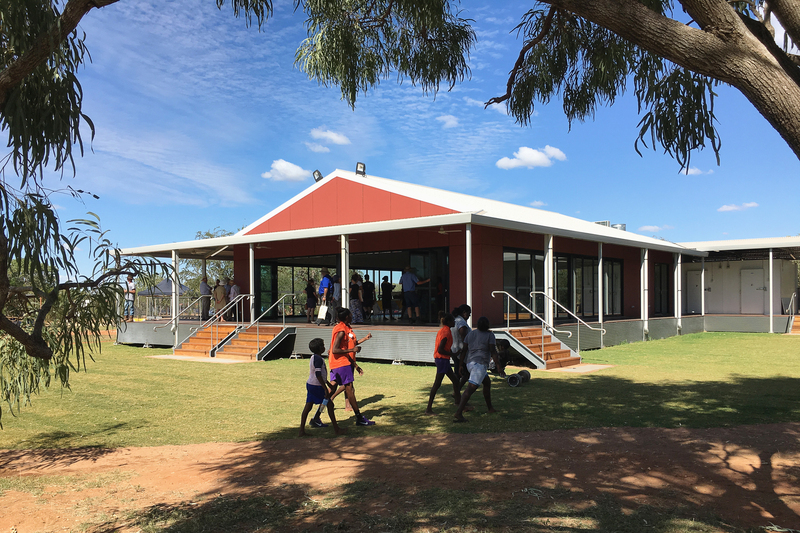 The partnership between Wesley College and the Bunuba people provides a sense of acceptance, belonging and community and this is what reconciliation is all about.” Ned McCord, Executive Yiramalay/Wesley Studio School.